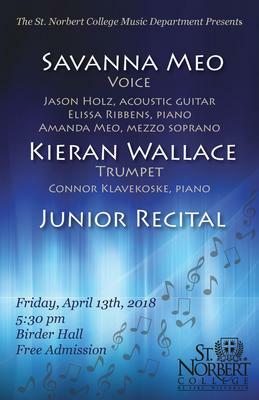 This is the junior trumpet recital of Kieran Wallace. Kieran is from the studio of Dr. Linda Cook. St. Norbert College Music Department, "Junior Recital - Kieran Wallace" (2018). Music Performances. 61.